Iceland Foods is among the fastest-growing stores in Britain. It is also considered a store with innovative retailers and is said to be one of the companies that have great employment opportunities in all of the U.K.
Malcolm Walker founded Iceland Foods Ltd. in 1970. His first store was located in Shropshire. The store was started with Peter Hinchcliffe as his business partner. Originally,Iceland focused on selling frozen pizza and other frozen food. After five years, the number of Iceland stores that were running reached more than 15, and the one in Manchester was the first store that was styled as a supermarket. By 1979, the company relocated its headquarters to Deeside in Flintshire. In 1984, Iceland already had 81 stores in different parts of the U.K.In 1989,Iceland was able to purchase competitor company Bejam, which brought Iceland’s stores to 760 in all of theU.K. In 1998, Iceland started focusing on the market of organic food and non-GMO (genetically modified) products. Two years later, the company started to convert its frozen vegetable product line to organic vegetable produce. In 1999,Iceland launched its free online shopping service for grocery items. In 2000, Iceland went into a merger with Booker Plc. In February of 2002, the company’s name was changed to ‘The Big Food Group’. In February of 2005, the company de-merged and founder Malcolm Walker returned as the company’s chairman. In October of 2008, Iceland introduced its “Bonus Card,” the stores loyalty card. With this card, shoppers who register in the program will receive vouchers and offers from time to time. In January of 2009, Iceland stated its plans to purchase 51 Woolworths stores. In April of the same year, the company closed down its appliance store to give its full concentration to food retailing. 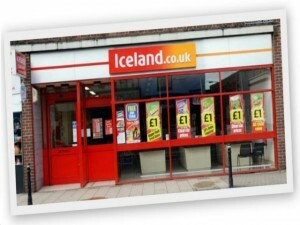 By 2010, Iceland had started opening several stores outside of the United Kingdom, particularly in the Eastern part of Europe. In the spring of 2010,Iceland launched the ‘New Face of Iceland,’ a new marketing program that will feature the program’s winner promoting all of Iceland’s services and products. At the end of the search, winner Ellie Taylor became the ‘New Face of Iceland.’ In March of 2011, the company announced that it will be adding celebrity Stacy Solomon as one of its advertisers. We are peanut butter producer and we are supplier of Australia’s biggest supermarket. we have customers all over the world.We can provide high quality product with competitive price.